Fall & winter plus optional training camps. 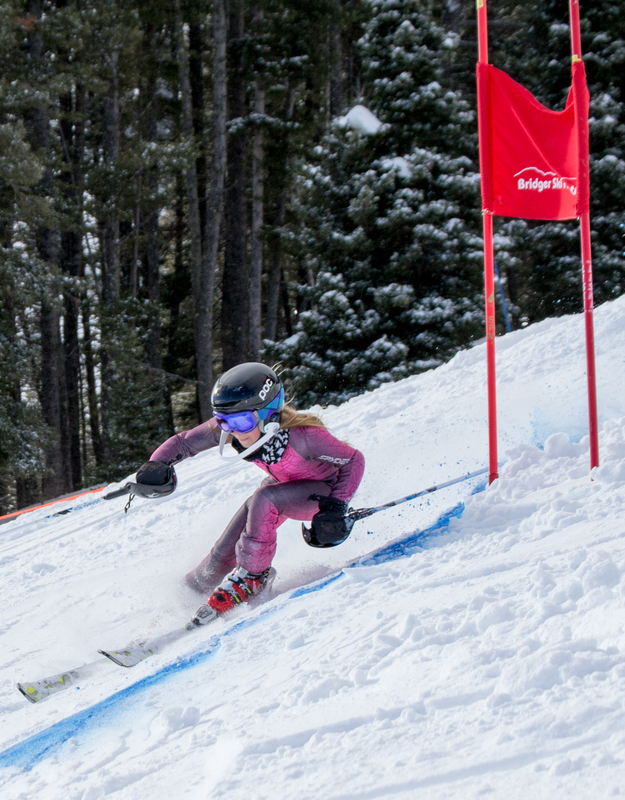 Improve all-around skiing skills, as well as compete in USASA snowboarding events. Train on Bridger Bowl's natural terrain as well as the terrain park with our dedicated snowboarding coaches. Love snowboarding and want to progress in the park? Join us. Dryland begins in October and on-snow training begins in early December each year. We also have additional camps during summer, fall, and holidays. View camp info here. As a member of the Snowboarding Team, you’re eligible to apply for need- and merit-based scholarships. Learn more HERE. SKIS: Check with your coach if you have questions. Ages 6-14: one pair of twin tip skis. Eye level with a variation based on height weight and skill. Should fit properly with a soft, even forward flex. Local retailers or online. (Your BSF membership gets you discounts at several local shops.) Also, keep your eyes out for the team emails—occasionally retailers will sponsor team nights with discounts. The Ski Swap (http://www.bridgerskifoundation.org/events/skiswap), held each November at the Fairgrounds. Thousands of items. (It’s also one of BSF’s biggest fundraisers.) BSF members get in an hour early. If you volunteer at the event, you get in even earlier! Other chances: BSF is a traditional nonprofit, relying on donations and fundraisers to cover approximately 50% of our cost of programs. Volunteers donate thousands of hours each year. We couldn’t do it without you! 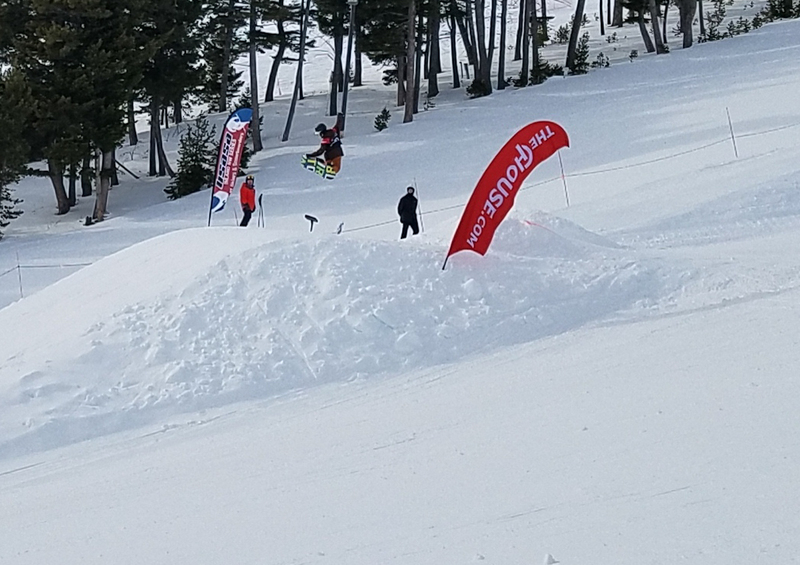 We’re always looking for volunteers to help with our fundraisers, serve on committees, or help at Nordic, Alpine, and Freestyle/Freeskiing competitions. 90% all-mountain skiing. Play many sports, with active participation in coordination or balance-based sports. Play many sports. Active participation in coordination or balance-based sports. Participation in team sports build teamwork, ethics and fair play. This is the adventure stage: ride all terrain and explore the mountain. Comfortable grabbing over small jumps and exploring small rotations 180 to 360 in both directions. Beginning to explore simple rail features. Develop precision of basic skills while learning advanced techniques over a variety of terrain and features. Competent on small to medium jumps, basic grabs, ability to ride comfortably in halfpipe and rail features. 30-50% all-mountain skiing. Continue to participate in complementary sports while identifying clear goals in primary sport. Physical fitness is becoming an integral part of the season. 1-3 sessions per week. Increase hours of training with varied volumes and intensity. This is the tactical stage where skiers learn to apply technical skills to event/discipline specific tactics. Comfortable spinning over large jumps. Begin experimenting with single inverted manuevers and should be able to handle increasingly more difficult rail features with confidence. High intensity and more complex movement patterns are mastered. Dynamic and complex movement patterns are emphasized to achieve a desired outcome on specific terrain and features. 30% all-mountain skiing. Use complementary sports and activities for variety and to enhance aerobic conditioning by increasing training volume in all activities. Implement periodized training with varying volumes and intensity. Training is now essential to seasonal programming with 2-3 sessions per week and off-season fitness plans. Both a Technical and Tactical Stage. We focus on refinement and mastery of event/discipline-specific technical and tactical skills. Full HP and SS runs with speed, confidence, amplitude and style. Creativity in trick selection and flow. Beginning to experiment with double cork and multiple, linked rotations beyond 900 (HP) and 1080 (SS). Refine event specific technical and tactical skills to achieve desired outcome. Integrate the increased strength, power and body size to achieve more complex movements and precision of skill application. 30% all-mountain skiing. Use complementary sports and activities for injury prevention, avoiding burnout, and to maintain all aspects of physical fitness. Year-round, periodized training plans with varying volumes and intensity are essential to prepare for full competition and training loads. Mastery and Innovation stage. Event/discipline-specific technical and tactical mastery. Can ski anything, anywhere in any condition with confidence, speed and style. Mastery of tactical strategies based on the individual's style, discipline and goals. Full runs with maximum amplitude and speed from top to bottom. Linked tricks with multiple rotations at 900 and beyond. Incorporating single and double inverted tricks into full runs. Creativity in run choice is essential. Ability to revise trick sequence as conditions or events dictate.